Come and visit the only shrine in England and Wales which survived the destruction of the Protestant Revolt: the beautiful healing well of St Winefride in North Wales. It's not as difficult to get there as you might think! From the south, north, and East there are motorways which take you to Chester, and an excellent main road takes you the rest of the way. Click for a map. There is even a coach from London- see the poster. Note that unusually among LMS pilgrimages, this event is (as always) on a Sunday. The celebrant is the young English priest of the Institute of Christ the King Sovereign Priest, Fr Scot Tanner. 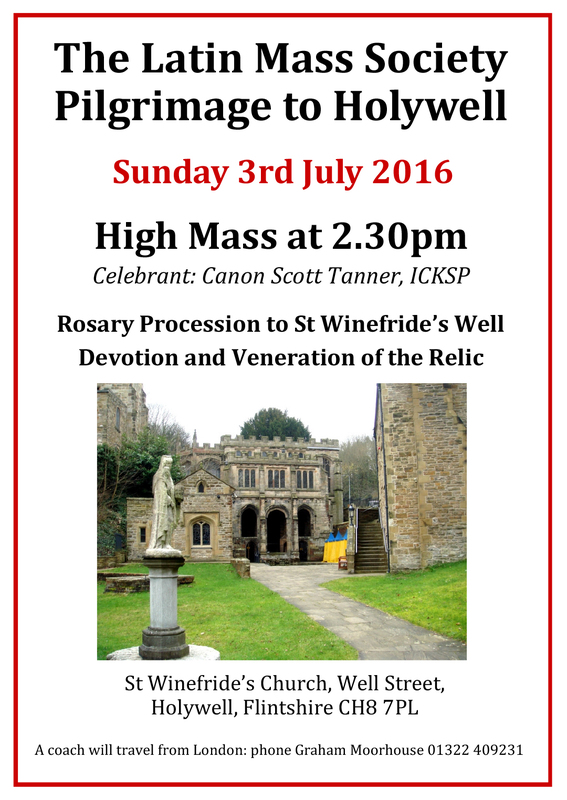 As well as High Mass there is a procession to the well and veneration of St Winefride's relic.